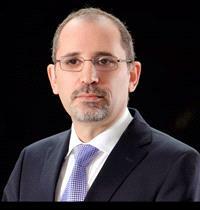 AMMONNEWS - Minister of Foreign and Expatriate Affairs, Ayman Safadi, on Monday met a delegation of U.S. congressional aides and discussed with them bilateral ties and ways to develop them. The meeting also reviewed developments in a number of regional issues, foremost of which is the Palestinian issue, the Syrian crisis and its consequences, and the war on terrorism. The foreign minister said Jordan is keen on developing relations with the United States and voiced appreciation for the U.S. support to the Kingdom.